10 years after the creation of Bizenghast, one of the finest English manga ever created, the original creator, M. Alice LeGrow is making a return to the series, but not in the form of another manga. Instead, this time around, M. LeGrow has teamed up with animators and developers who’ve worked on films like Alice in Wonderland, Cloudy with a Chance of Meatballs, and The Golden Compass to bring us a full-fledged video game set in the world of Bizenghast with you, the player, taking on the role of Dinah Wherever. Bizenghast the game will take place in the beloved cult-classic universe of Bizenghast, but with a new cast of characters and brand new storyline. Blending elements of adventure gameplay with RPG influences, players will adventure through the world of Bizenghast solving puzzles and uncovering the deep and established lore of the series. 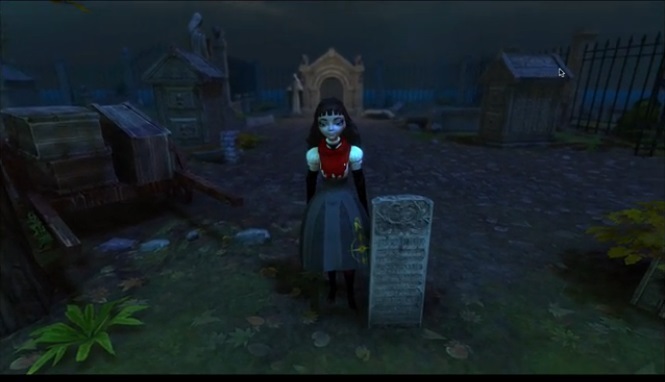 The game will also stay true to the original cult-classic, with series creator, writer, and artist M. Alice LeGrow returning to direct the game, to provide concept art, and voice the main character. Bizenghast boasts motion picture-quality animation and motion-captured facial animations to complement the game’s story-driven nature. Bizenghast is currently seeking funding on Kickstarter, with their initial funding goal set at $125,000 to fund the first chapter of the game. As more and more stretch goals are met, more and more of the game will be developed, with the full game being possible at the $1,000,000 mark. Bizenghast the game is currently under development for iOS, Android, PC, Mac, and Linux by Cosmic Forces.